Christian women in leadership. I have found that this is not a common topic in the world of leadership resources! My goal for recommending this resource is to share something that encouraged others who are like me – a woman in leadership. Dare to Serve is an eight-session video series in which Cheryl Bachelder, CEO of Popeye’s Louisiana Chicken, shares how she became successful as a Christian woman in the business world by leading through serving. Servant leadership is sometimes seen as soft or ineffective, but this series shows how it is both challenging and tough-minded. In each 8 to 10 minute-long video, Bachelder grounds Servant Leadership in biblical principles and shares how it has revolutionized her workplace, home, and community. If you are a Christian woman in ministry leadership, consider engaging other women in a small group using this video series. Even better, consider using it to mentor young ladies in your lives as they develop their gifts for leadership in God’s kingdom. 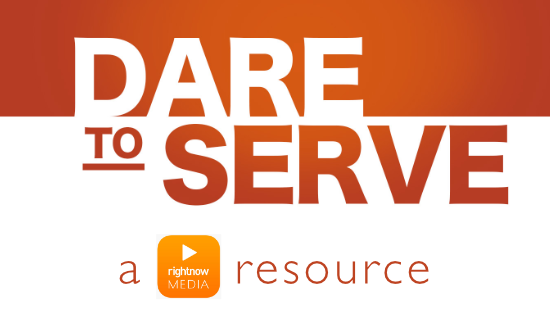 You can find the Dare to Serve video series on RightNow Media, offered for free through DVULI. The videos can be accompanied by a discussion guide that provides questions for each session. Choose “Buy Now” in order to download the Dare to Serve Discussion Guide. You will be redirected to Bachelder’s website, where the guides are offered as a free download. Choose the guides “Dare to Serve for Faith-Based Leaders” and enter your email to receive the resource. The DeVos Urban Leadership Initiative is proudly grounded in the principles of Servant Leadership.